A 45" strand of hand-strung beads. 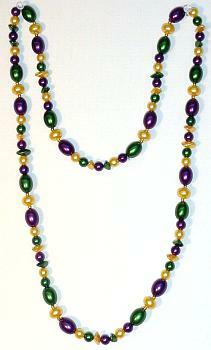 This bead consists of various shaped beads in Purple, Green & Gold with a matte finish. Gold metallic spacer beads are between some of the other beads.